I was most gratified to discover a few months ago that my local Co-op stocks Château Capitoul, a blend of Syrah, Grenache and Carignan from the hills of La Clape, near Narbonne in the south of France. My pleasure is threefold: it is delicious, with gentle tannins and lots of ripe black fruit; it is made by my friend Thomas Bonfils from grapes grown in vineyards we have walked around together; and, finally, it is a mere £8 a bottle, which strikes me as terrific value. Not if it is corked, however. The chemical compound 2,4,6-Tricholoro-anisole has been the bane of wine lovers’ lives for decades, infecting corks that, in turn, render wines undrinkably musty and mouldy. The epidemic reached its peak about 20 years ago, when about one in 20 of the bottles I tasted was corked. The half dozen shoppers milling around the tills started to sense that A Scene was about to ensue. I pointed out to him – quite reasonably, I thought – that it is impossible to tell whether a wine is faulty without actually opening it. He, however, was adamant, repeating his ‘can’t get a refund if you’ve opened it’ mantra ad nauseam. The spectators suppressed a few giggles as we locked horns in this Aristotelian struggle for logical truth. Eventually, the older and wiser head of the store manager prevailed, and he refunded my eight quid, but not before I had considered breaking cover as a wine writer (unwise, I thought, on balance). I even thought about calling Thomas on my mobile and getting him to guarantee the Co-op a replacement bottle. It did occur to me that if a wine writer who knows both the wine and its maker has so much trouble getting a refund, what chance does anyone else stand? I had a different problem the following Sunday. A wine-loving friend came for lunch: as it was a special occasion, and I knew he would appreciate it, I opened a prized bottle of Jean-Louis Chave’s Hermitage Rouge 2000, which retails for around £250. It wasn’t corked, but it wasn’t perfect, either: it had a distinct hint of volatile acidity, the euphemistic ‘winespeak’ phrase for vinegar. And it was a (very generous) Christmas present from a friend, so I couldn’t return it. 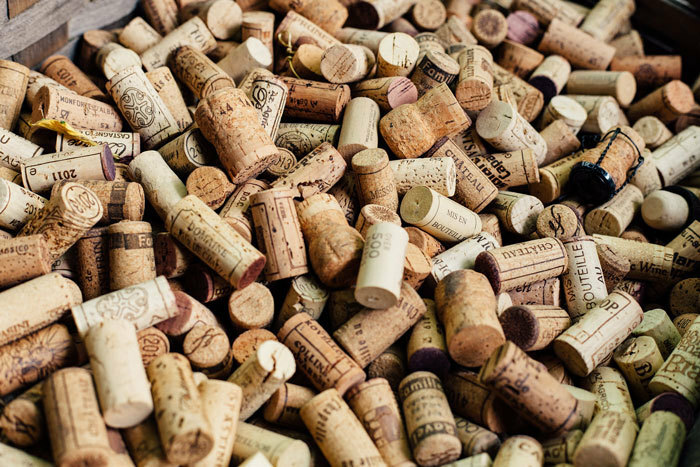 The reason that the problem of cork taint became so serious, despite wine writers bleating about it, was that few bottles were ever returned. They were gifts; it was too inconvenient to go back to the shop; customers (typically British) didn’t want to make a fuss; or they simply didn’t recognise the fault, and merely resolved not to buy that wine again. In the unlikely event that none of the above applies, it would be very gratifying if wine retailers could train their staff to deal with it.